This April, Arnold Clark Car & Van Rental will attend the Visit Scotland Expo for the 26th time. As proud partners of Visit Scotland, the team at Arnold Clark Car & Van Rental understands the importance of building (and maintaining) lasting connections within the international tourism industry. What makes events like the Visit Scotland Expo so important for Arnold Clark Car & Van Rental? Suzanne: It gives us the chance to sit down and meet with all our existing overseas clients and discuss business with them. It’s also an invaluable opportunity to forge new business relationships. This is our 26th expo – which just goes to show how fantastic an event it is for us as a company – it’s a powerful opportunity for us to showcase our brand. Philippa: Not only does it give us the chance to meet with existing clients and create new business, it gives us the chance to network and talk to fellow exhibitors. It offers some great opportunities to collaborate with other businesses, too. And it goes without saying that it further strengthens our relationship with Visit Scotland, which we value very highly. 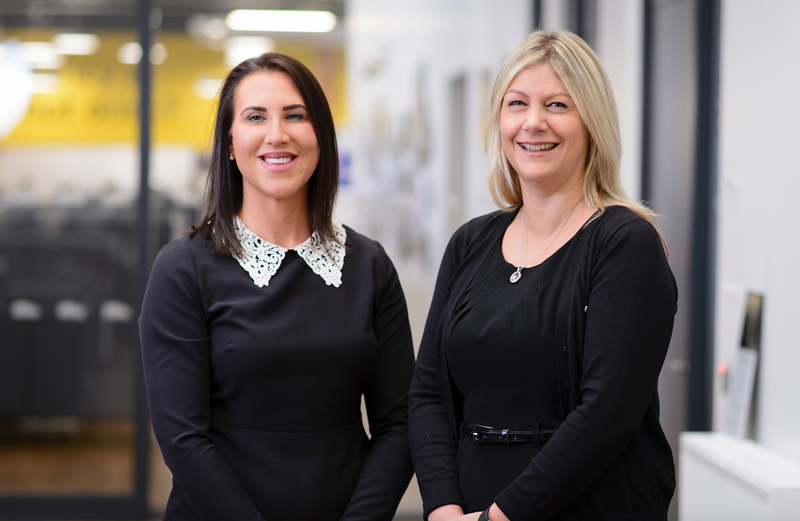 Suzanne: We’re hoping to maintain and build on the great relationships we have with existing customers and also to showcase the business and share our passion and insight with new customers, too. Philippa: I think what Suzanne has said covers it all. Having the existing relationships and creating new ones is almost like a huge brainstorming session where we can pull ideas from other people – it’s the vital influx of perspective that a business like ours needs. What are you most excited about showcasing at this event? Why should attendees visit the Arnold Clark Car & Van Rental stall? Suzanne: The expo always has a tremendous buzz about it, and it’s great to be part of such a vibrant, exciting atmosphere. We’re delighted to be bringing along a lovely, fresh, new stand this year! Don’t miss the opportunity to come along to see us, say hi and pick up some shortbread. Philippa: Definitely the new stand and our involvement with the Women’s Golf next year. This is a major international event that will not only showcase Scotland once again, but will put Arnold Clark Car & Van Rental on the international stage. How does Arnold Clark Car & Van Rental help promote and enrich Scottish tourism? Suzanne: As a business, we’re absolutely committed to promoting tourism – it’s why we’re working with the Visit Scotland Partnership programme. We do all we can to help visitors to our fantastic country gain a positive impression and create lasting memories; from airport collection and drop-off, to optimising our website for international visitors. We absolutely love being involved with so many tour operators from all over the world. Philippa: Being Patrol Sponsors of the STA for another year attests to how much we wish to remain involved with and support Scotland’s tourism industry. Our involvement in the Partnership programme and our collaboration with North Coast 500 are just a couple of examples. We’re also previous winners of a Scottish Thistle Award in the category ‘Tourism – Everyone’s business’. Going back to our golf partnership, we’ve supported the sport over the years and are eager to continue to build such positive alliances in the future.